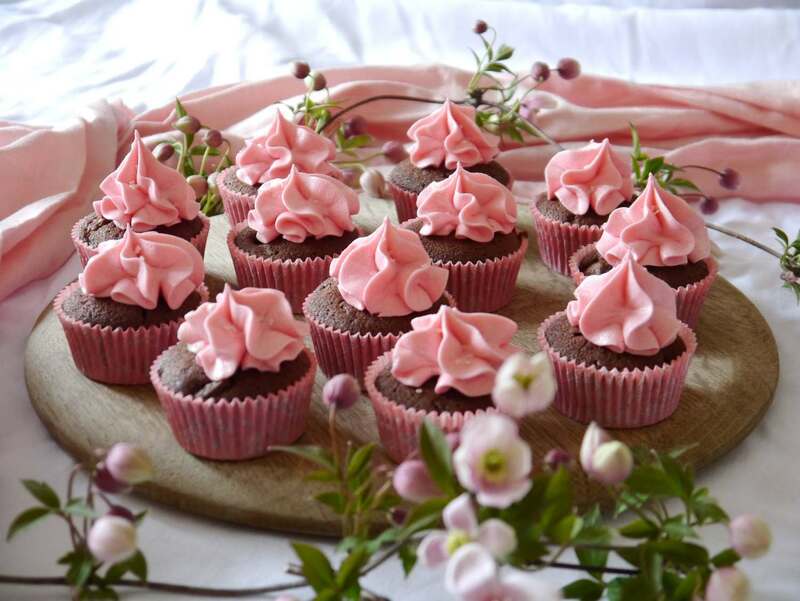 These pretty little cupcakes are so easy to make and add a slight twist to a simple classic recipe. 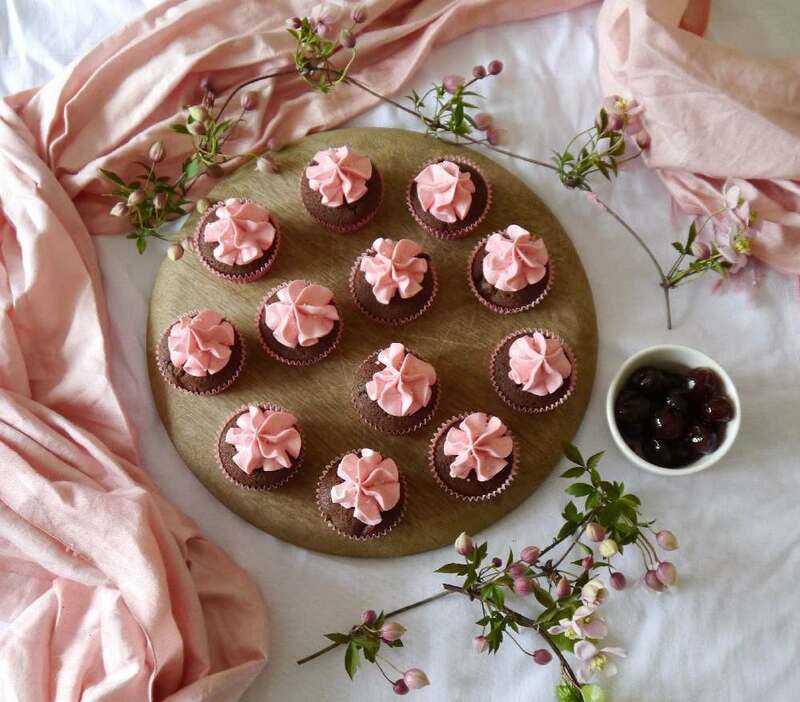 By adding chopped glacé cherries to a chocolate cupcake recipe and topping with vanilla frosting you add an extra bit of sweet deliciousness to an already scrumptious dessert. I made these particular cupcakes for an Afternoon Tea Charity Fundraiser for our local pre-school. Needless to say they were very well received. Classic chocolate cupcakes with glacé cherries and vanilla frosting. In a freestanding mixer cream the butter and sugar until pale and fluffy. Add the vanilla essence to the beaten eggs and mix then add little by little to the buttercream. If the mixture begins to split add a spoonful of the self-raising flour to stabilize it. Mix together the cocoa and self raising flour then fold into the mixture. Add the milk and mix until smooth - the mixture should fall easily from a spatula / spoon. Stir in the chopped cherries. Place cupcake cases into cupcake trays to keep their shape. Spoon in the mixture - makes 24 small cupcakes. In a freestanding mixer cream the icing sugar and butter. Add the vanilla essence to the milk and add to the buttercream. Mix at a high speed for 5 minutes to create a really smooth frosting. Add the pink gel food colour and mix to spread evenly. Place the frosting in a piping bag with a large star tip eg 1M and pipe a simple star onto each cooled cupcake.